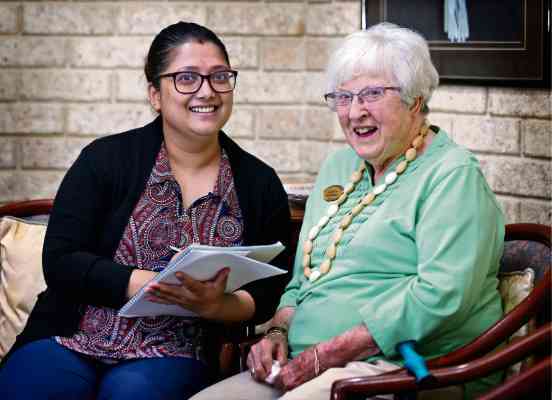 SOUTH Perth Senior Citizens Centre welcomed nursing students to interview seniors for personal accounts of the health care system this month. The Centre is one of the locations assisting 150 Edith Cowan University Masters of Nursing students to interview seniors on their experiences in patient-centred healthcare. ECU clinical tutor Lea Aboo said it was the first time the university has organised one-on-one conversations with people who are often involved the healthcare system. South Perth Senior Citizens Centre member Judith Schmitzer said she enjoyed sharing her personal recounts of her experience of the health care system. “It’s a good experience for the students to have these one-to-one conversations,” she said. Ms Aboo said the interviews would continue over four weeks in the first semester of the Masters of Nursing course. “Students need to incorporate experience of older adults into their assignments,” she said.